Dr. Mirsky acquired his marvelous ancient coin collection prior to 1970 (the cataloguers were unable to identify any coins purchased after 1959). 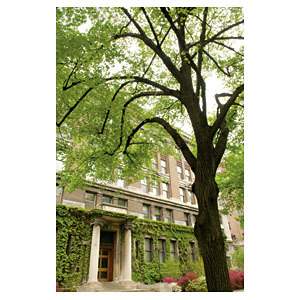 The collection, parts of which have been on display at The Rockefeller University over the years, was bequeathed to the University as a testamentary gift. Proceeds from the sale of this collection will support the University’s graduate program. The collection includes coins from many of the great early 20th century collections of ancient coins, including collections of J. Pierpont Morgan, Richard Cyril Lockett, Consul Edward F. Weber, Professor S. Pozzi, and the Hermitage Museum. Dr. Mirsky also purchased his coins from the world’s great ancient coin dealers of his day including Giuseppe De Falco (Naples), Jacques Schulman (Amsterdam), Spink & Son (London), M&M (Basil), Bank Leu (Zurich) and A.H. Baldwin and Sons (London). It is an interesting footnote that in October, 1953, Dr. Mirsky wrote a letter recommending Vladimir Clain-Stefanelli as curator of the Smithsonian Institution’s Department of Numismatics. Clain-Stefanelli, a survivor of several years at the Buchenwald concentration camp, had arrived in New York in 1951 and was befriended by Dr. Mirsky when he was employed by Hesperia Arts and Stack’s Rare Coins. In 1956 Vladimir became curator of the Smithsonian’s Division of Numismatics; a year later, his wife Elvira became his assistant. Two years after Vladimir’s death in 1982, Elvira Clain-Stefanelli became the department’s first executive director; she died in 2001. 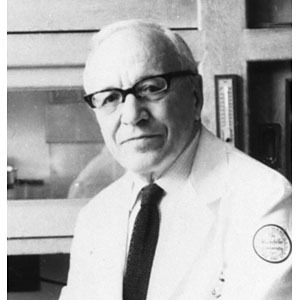 Dr. Mirsky was born in New York City on October 17, 1900. He graduated from the Ethical Culture School and Harvard University, received his Ph.D. degree from Cambridge University, and received an honorary M.D. degree from the University of Gothenburg in 1954. He joined the Rockefeller Institute in 1927, and held the positions of associate (1929-1940), associate member (1940-1948) and member, before assuming the title of professor in 1954. He was a member of the National Academy of Sciences, the American Philosophical Society, Harvey Society, the Society of Biological Chemists, Society of General Physiologists, Genetics Society, American Naturalists Society, Deutsche Akademie der Naturforscher, American Academy of Arts and Sciences, American Chemical Society, and Phi Beta Kappa.